Our family bought our house just over a year ago, so I remember the process well. You step into a house and take a deep breath- whoo- not this one, a smoker lived here, let’s try again. Alright, you step into the house and take a deep breath- Yankee Candle- we’re good. You look to the left and look to the right, and you try to imagine your kids running down the stairs in the morning. 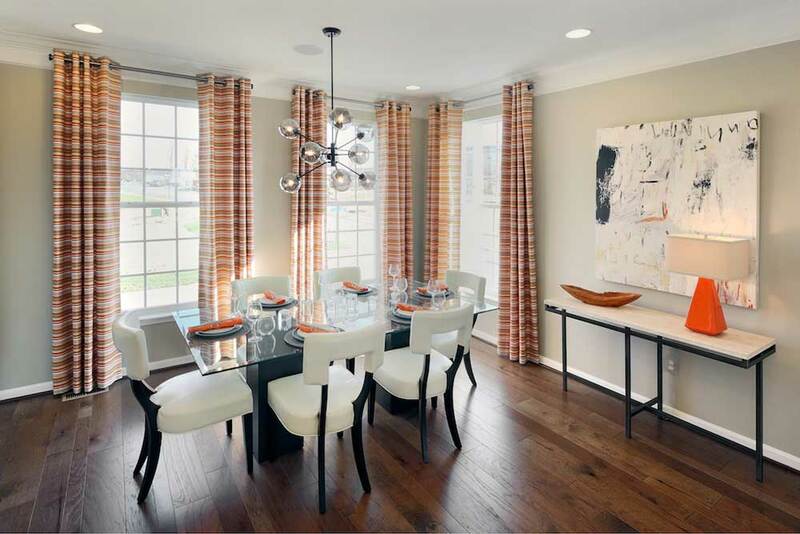 You try to envision how many of your friends can gather around in the kitchen while you’re entertaining. 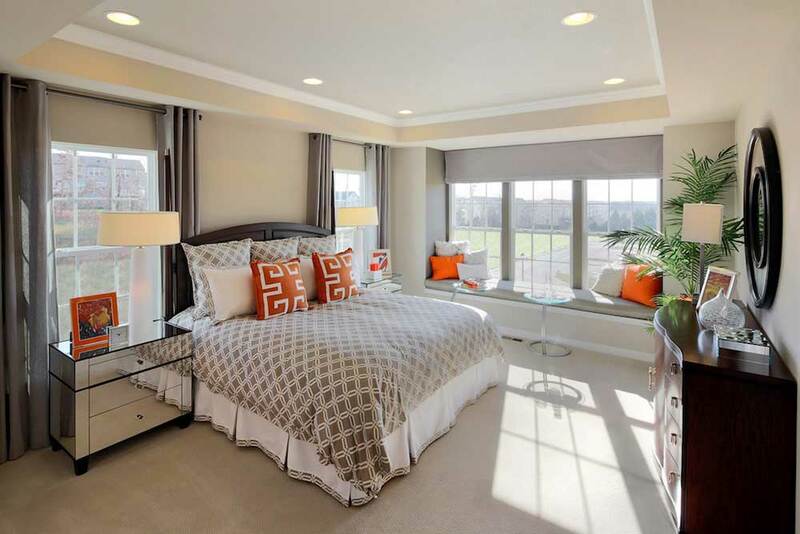 You look in the backyard and decide if it’s the perfect mix of room and “I don’t really like to mow the lawn.” In short, you try to see yourself inside the house- to decide if this could be your home. That was what was so neat about our June reader meetup. Miller and Smith didn’t just let us guess what it’d be like to live in Victory Lakes (in Bristow, VA) they actually let us test drive one of their model homes. So, armed with curiosity and about a dozen readers, we checked it out! Miller and Smith welcomed us into their beautiful model home, in the Meridian Collection, and even let us peek into the home next door, as well. 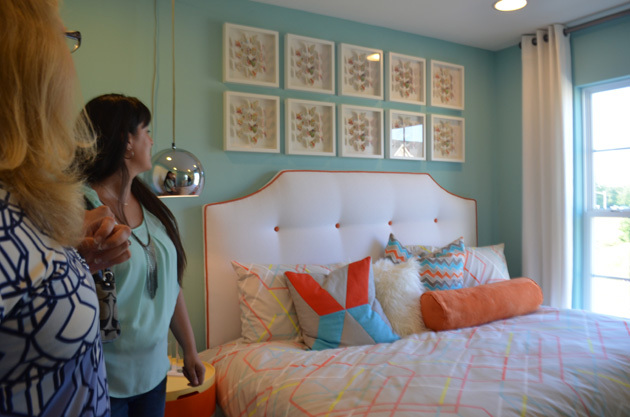 I happen to love model homes, they always give me such great ideas for my own- but this time I actually got to “own” the model for a night! And of course, like in every home, people gathered in the gorgeous kitchen….and we stayed there for a long time, chatting and having a fantastic time. 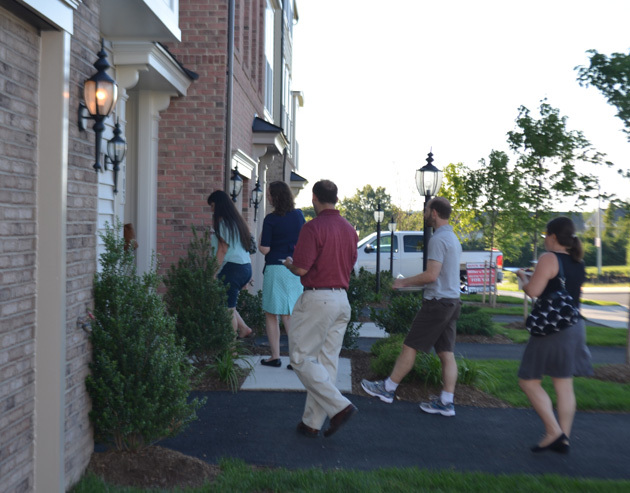 The homes we “test drove” in Victory Lakes are townhomes, but they don’t feel like it. Open and spacious and inviting with all the great upgrades available that you’d want in a single family- quartz countertops, stainless steel appliances, and of course lots of light. 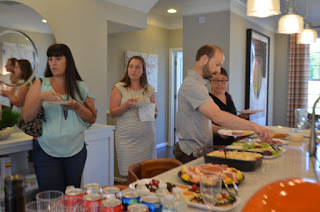 I can’t say I’ve ever hung out with quite so many people in a Master Bedroom before- but we had fun 🙂 It was especially nice to have Elizabeth Falcon there- she’s a Realtor, but she’s also a Victory Lakes resident, and she was able to share with us about the amazing community (who weren’t all invited to my soiree, sadly). 1) There actually ARE lakes, it’s not just the name- and you can fish in them! 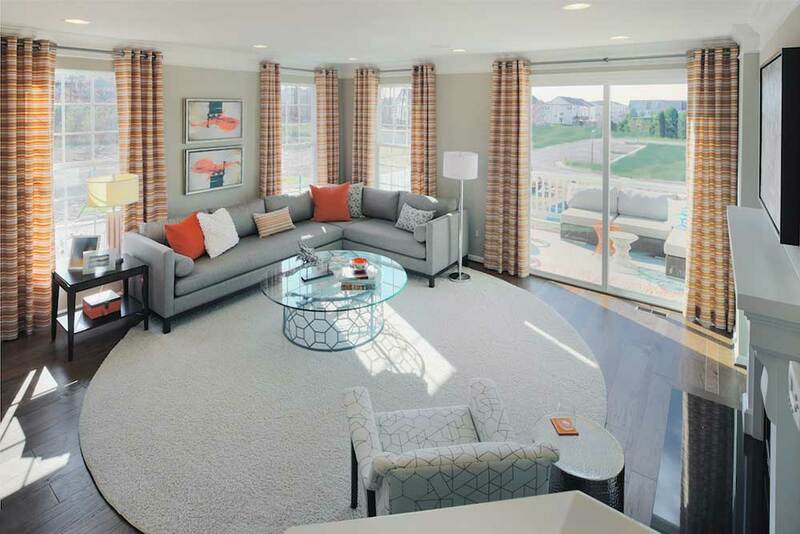 3) Gives Victory Lakes that great community feel that we all want, without actually having to put the work in yourself- they’ve designed it right in to their gorgeous homes! Eric was our Miller and Smith homes expert, and he shared that for those of you looking for a new home in Bristow, they’re in their final sections and they’re doing a FREE DREAM KITCHEN upgrade when you purchase in Victory Lakes! That means the kitchen I hosted my meetup in could be your actual kitchen! 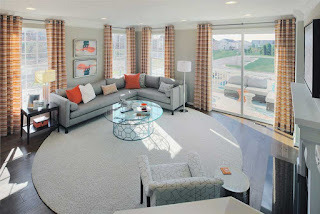 Victory Lakes Townhomes are gorgeous, spacious, and I know this PwcMom would be proud to live in one, if I was looking! If you’re in the market for a new home in PWC, or you’re just looking to upgrade your lifestyle, be sure to check out Victory Lake in Bristow, VA.
For more information visit Miller & Smith’s website at www.millerandsmith.com and look for the Meridian collection, or call Hansen at 571-379-4349.